All we really need in life is chocolate.Wait, is that just me? Apparently not. Studies show that Americans consume over 3 billion pounds of chocolate last year, this equated to over $16 billion in sales (1). Interestingly, even the scientific name for chocolate, Theobroma Cacao means food of the gods. Unfortunately modern day chocolate has been ruined with adding a ton of sugar,dairy, various additives and some stuff we cant even pronounce. Does this mean chocolate is not Paleo? Yes. Milk chocolate with biscuit bits, or caramel or any junk added is most definitely not Paleo. Well, luckily there is a huge movement of chocolate lovers who are taking back the long lost art of chocolate making. Specifically bringing back dark chocolate, the original chocolate. 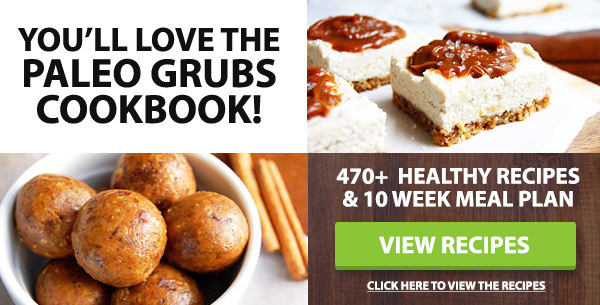 Without sugar and dairy and yes, ultimately Paleo friendly. When chocolate was first discovered it was not in the delicious form we know of today. Chocolate has been used in the medicinal context since 406 AD at least and still has many therapeutic properties which we can apply today (2). If you think about it, when do we lust after chocolate the most? When we are sad or tired chocolate is the ultimate pick me up and the native people of Central and Latin America knew this. In 1100 BC the Aztecs uses the cacao tree to make a beverage called Nahuati or bitter water in english. The drink was consumed as it was believed to have aphrodisiac powers (3). Actual chocolate however, only came about during the industrial revolution when mechanical mills were able to squeeze out cocoa butter and the first version of chocolate was born. When analysing a dark chocolate bar of 70-90% cacao, we surprisingly find that it supplies us with a healthy dose of minerals, fiber and some vitamins ( trace amounts not worth mentioning) (4). Other minerals include potassium, zinc, calcium and selenium in smaller doses. The catch here is that it wouldn’t be wise to finish off a whole bar of chocolate in one sitting, so the minerals would be delivered in smaller quantities when eating the chocolate in moderation (1-2 blocks). 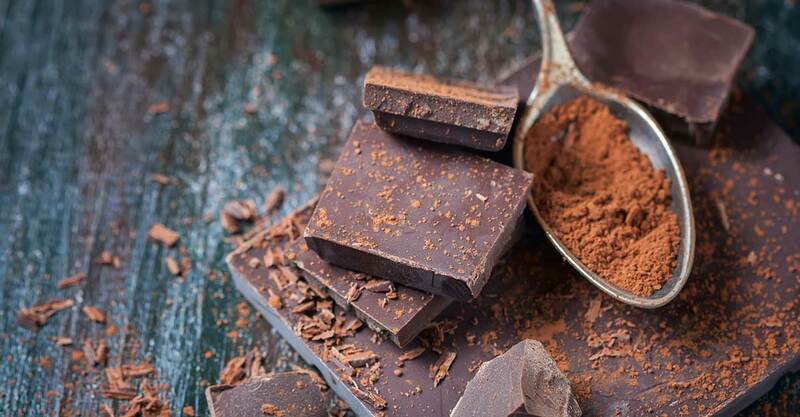 After following almost 20 000 people for at least 10 years a study has found that not dark chocolate not only reduced blood pressure but also reduced their risk of stroke or heart attack, by 39% (5). This obviously needs to be viewed with a pinch of salt in that the people who benefited were still not eating more than about 2 squares of a 100g bar of chocolate per day. Less is more in this case. Another study confirmed these findings and attributed this cardiovascular protection to the flavenoids found in the dark chocolate (6). Another great benefit of the flavenoids- a short term boost in concentration levels as well as increasing mental alertness. The study attributed these benefits to the flavenoids increasing blood flow to key areas in our brain for two to three hours (7). We’ve spoken about them before-the flavenoids. Dark chocolate is rich in antioxidant flavenoids called flavenols. These include procyanidins, epicatechins, and catechins (8). The higher the cacao content of the chocolate the higher the level of the antioxidants. Basically dark chocolate is up there with our other super foods like goji berries or blue berries (9). Well yes of course we knew this long ago. But a Finnish study found an association between mothers who ate chocolate during their pregnancy and infants who had an easier temperament. The study concluded that the chocolate may play a role in helping the pregnant mothers to cope better with stress and therefore lead to happier, more content babies (10). More research is however needed but we don’t really need any excuse. Read the ingredients list carefully. Most of the time the cheaper dark chocolate is full of additives like stabilisers, trans fats, vegetable oils and sometimes artificial sweeteners. Steer clear of these. The more expensive dark chocolate is normally made in smaller batches by niche chocolatiers who value quality ingredients over quantity and profit. Reach for the dark chocolate that has cocoa solids listed first on the ingredients list with sugar listed much further down. Always opt for 70% or higher dark chocolate bars.